It's time! It's time! Tomorrow is the 24 Hour Readathon, the glorious event where we try to read as much as possible within a 24 hour period. If this is your first time hearing about it, hop over to the website and sign up! You do not have to read for 24 hours--it's a day to read a few good books, meet some other bookish people, and bask in the joy that is reading. There are also games and prizes! This time around, I plan to make a delicious brioche french toast concoction for breakfast and put butter chicken in the crockpot for dinner. I still need to pick up some snacks to enjoy, but my day is somewhat planned out. I am ready to read as much as possible with two children in the house and take a small break to go to our local library book sale (yes, I need more books). My decidedly overambitious pile includes YA (Girls Made of Snow and Glass; Exit, Pursued by Bear), short stories (Awayland; The Refrigerator Monologues; What Happens When A Man Falls From The Sky), comics (Hyperbole and a Half; Delilah Dirk and the Turkish Lieutenant), literary fiction (The Female Persuasion), and nonfiction (Year of Yes). I also have my audiobook of Major Pettigrew's Last Stand ready to go for those moments when I have to do something other than hold a book in my hands. 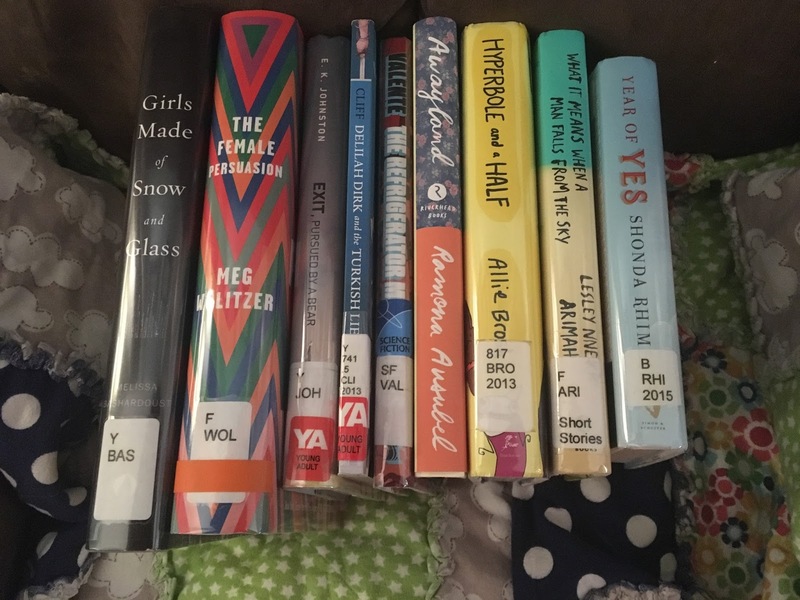 What are your Readathon plans? What book are you starting with? What will you be snacking on? P.S. 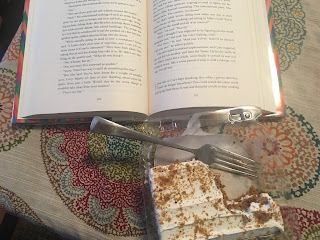 I wrote a warm-up post about ways to have your best Readathon as an introvert or an extrovert. You can check it out here. Rachel Hollis is a popular lifestyle blogger who was stymied by the emails she received. Women wrote to her, wondering how she managed to maintain such a perfect life when they felt like they were failing all over the place. 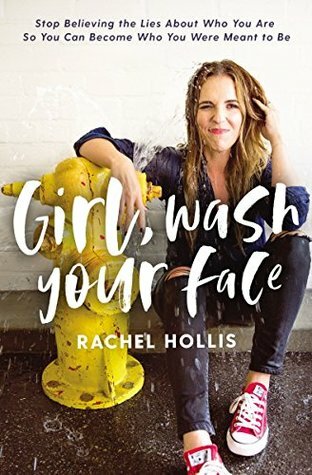 In her book Girl, Wash Your Face, Hollis writes about the lies she had to overcome to reach the place she is today. In each chapter, she confronts lies like starting tomorrow, not being good enough, or being a bad mother. Amidst personal stories, she encourages readers to get moving and make the life they want to live. For me, the core of Hollis' message is nothing new. 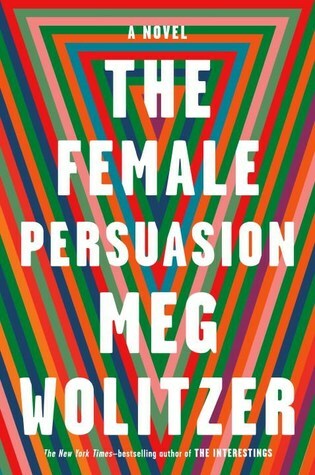 She tackles issues that a lot of women face, but I didn't really read anything revolutionary. However, there are a few things that do set this book apart from the rest: the steps she gives you and her radical honesty. At the end of each chapter, Hollis gives readers several things that helped her achieve specific goals. She writes candidly about her traumatic childhood and the suicide of her brother, her relationship with a man who cheated on her and later became her husband, their family's devastating experience with foster care, and the time she peed her pants while jumping on the trampoline with her kids. There are chapters when Hollis seems to believe that things are as easy as following a few simple steps. I think for many of us, the solutions to these problems take a long time to reach and they are very difficult to achieve. 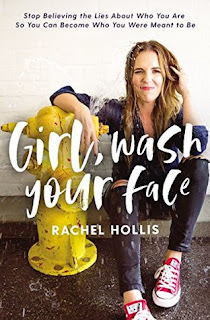 But I can also see how Rachel Hollis could be the extra kick in the pants if you know what you should do, but keep putting it off or making excuses. She is tougher than many lifestyle writers because she knows from personal experience that you have to put the work in to reach the goals you set for yourself. Reading something fun and light can bring us joy as readers. There are some days when we just need to sink into another world and read something that my father would refer to as "fluffy." Sometimes the security of knowing that the chef will solve the mystery while making a perfect souffle is enough to make us feel a little better about life. But I think there's another side, too. Reading can and should be fun and entertaining but it also has the capability to make us think. It can teach us about the science and history of the world we live in. 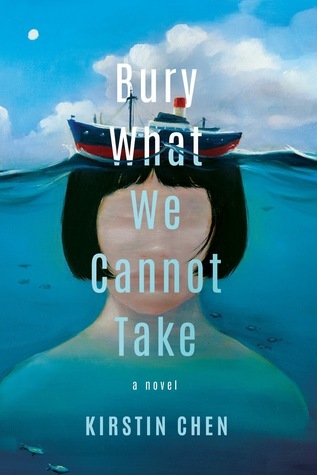 Books can compel us to ask hard questions about ourselves and the choices we make individually and collectively. I like to read for fun, but I also enjoy being challenged. 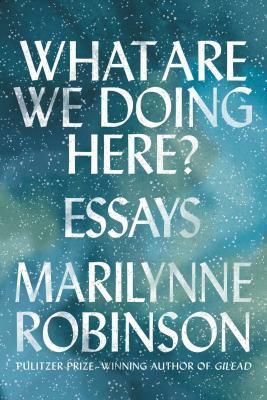 I recently read What Are We Doing Here?, which is Marilynne Robinson's newest collection. The book mostly contains speeches that she has given over the past few years. They are not easy reading--the speeches consider our history as Americans, what it means to be a person of faith in the 21st century, and the place of both humanities and science. I so appreciated that both Robinson and her publisher saw the opportunity for readers to do some hard reading and think about big questions, even if they only knew her as the author of novels. After graduating from high school or college, there is not a requirement for most of us to continue learning. We don't have to learn a new language, or learn how to write code for our website, or read hard books. But what are we missing if we don't? Reading doesn't have to always be complicated or always be carefree. How wonderful it is to live in a world where we can read a cozy romance with the knowledge that they will get their happy ending and then turn to a book that explains the complexities of space or physics. 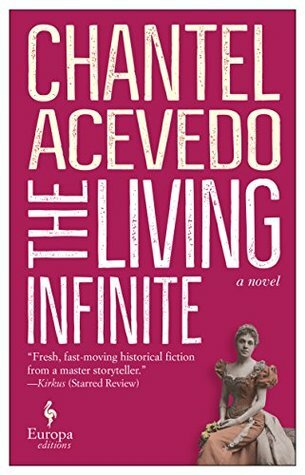 Readers have the unique joy and privilege of experiencing all worlds, both real and imagined, and I intend to try to read about all of them. Like many of us, Stephanie Dray and Laura Kamoie adored a certain popular musical about the life of one of our nation's founders. But they found that they couldn't stop thinking about Hamilton's wife Eliza. She was the one who ensured that Alexander Hamilton was remembered and the two authors decided to find out who she was and make sure that she was remembered as well. 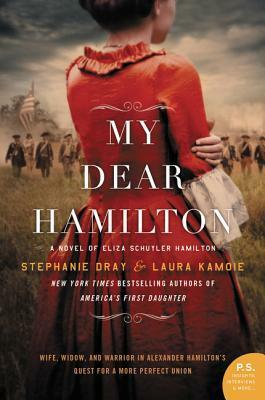 My Dear Hamilton strikes the perfect balance of being familiar to readers who know a little about Alexander Hamilton while giving added depth to Eliza. They bookend the story with President James Monroe appearing to an elderly Eliza, hoping that the two can reconcile. From this point, Eliza thinks back through her life and readers witness a young woman in war time, a mother trying to provide for everyone in her family, and a wife wounded by her husband's betrayal. Stephanie Dray and Laura Kamoie have done a wonderful job in making Eliza a fully realized character, in spite of her leaving so few of her own letters and documents behind. I love that Eliza begins her story by telling readers "I was someone before I met Alexander Hamilton. Not someone famous or important or with a learned philosophical understanding of all that was at stake in our revolution. Not a warrior or a philosopher or statesman. But I was a patriot. I was no unformed skein of wool for Hamilton to weave together into any tapestry he wished. That's important for me to remember now, when every thread of my life has become tangled with everything he was...I was, long before he came into my life, a young woman struggling to understand her place in a changing world." 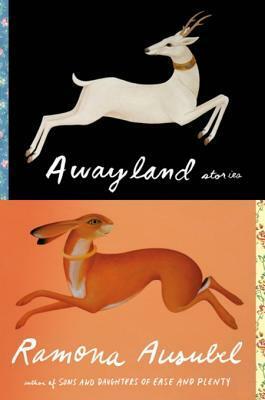 The book is a long one, but it's intriguing to see Eliza grow and change over several decades. 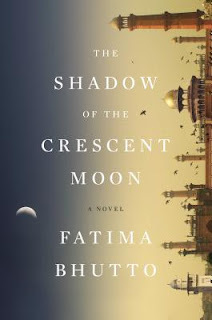 It's clear from the note in the beginning to the last page of this story that Dray and Kamoie are rightly fascinated by this turbulent time in American history and the brave women and men who defined it. If you are a reader who loves historical fiction or a a person who weeps every time you hear them sing "Who tells your story? 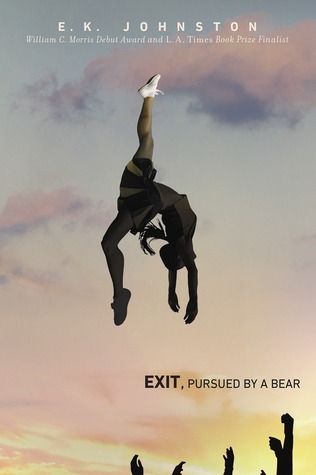 Eliza" in the Hamilton finale, you need to read this book. Rachel is a typical modern woman in many ways: her children sometimes drive her crazy, she dotes on her grandchildren, and she has some big decisions to make about the family business. But there is one thing that makes Rachel very unique--she can't die. Two thousand years ago, she made an incredible bargain to save the life of her son. He would live and become a crucial figure in Jewish history, but she would be unable to die. All these years later, she has lived many lives all over the world. She has fallen in love, she has had children and careers, and then she leaves them all behind before her descendants can see that she outlives them. 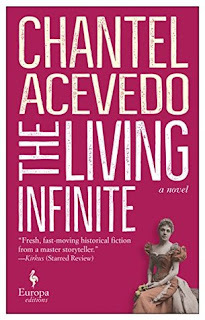 Her granddaughter Hannah is a scientist with a grant to try to prevent death and Rachel worries that she will figure out the truth about her grandmother. Is it finally time for Rachel to die? Is it even possible? The story itself is a really engaging one. We see Rachel in the present as she tries to make good decisions, realizing that the decisions that make her a good mother are not always the ones that will keep her safe and happy. Horn also takes us into Rachel's past at several different points, but we spend the most time at the beginning with the son whose life she saved. We also meet Elazar, the boy's father, who made a similar sacrifice and follows Rachel through time. They spend some lives together, taking solace in the face that one other person knows what it is like to be immortal. In others, Rachel runs as far away as possible from the man who knows too much about her and has hurt her too many times. 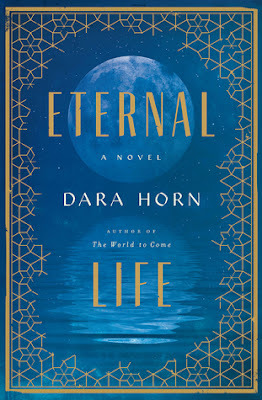 It is the highest of compliments that I would have followed Rachel through all of her lives, because Horn gives her characters so much of the nuance and contradiction that makes them seem to come alive right on the page. Dara Horn writes fascinating novels that grapple with complex questions of faith and morality. In Eternal Life, the question at hand is what it means for us to be human. Would immortality render us more human as we live through life after life of mistakes and joys or would the ability to have another chance make us something other than human? If there is no end, do the moments that make life meaningful become more precious or do they mean nothing at all? We all know creativity is a good thing. We believe in arts education in our children's schools, listen to new music, and attend local theatre productions. Some of us spend too much time gazing via social media at the beautiful pie or cozy sweaters created by our friends. In spite of this, it's hard to know where to begin. If you don't consider yourself an artist or a musician or a chef (or even if you do), how do you include creativity in your daily life? 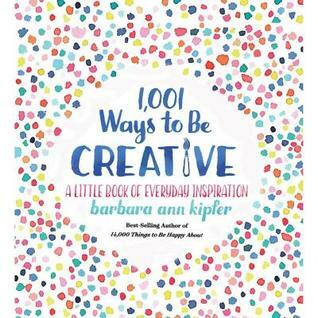 Barbara Ann Kipfer has a solution for you with her book 1,001 Ways To Be Creative. This tiny book contains a very large list with two kinds of entries. There are suggestions on ways to start a creative life, like taking a pottery class, designing a roller coaster, or inventing a new cocktail. Some of the points are thoughts about what it means to live a creative life. Kipfer encourages readers to remember that there is no such thing as the "right" starting place, that you will need breaks and rest, and that your creativity will grow as you continue to work on it. There are also quotes from famous creative people throughout and pages of inspiration, where the author challenges her readers to ask "what if?" or go on a creativity field trip. 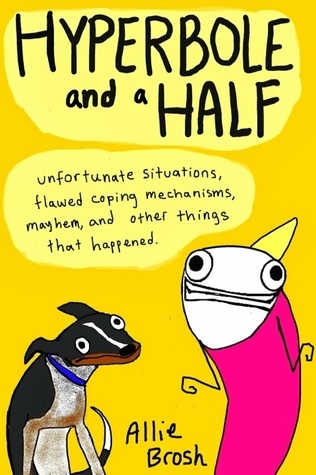 This is a charming book. I think the best place for it is close to your piano or sewing corner or on the kitchen counter, nestled in with your favorite cookbooks. I'm planning to leave it on my son's bookshelf for the next time he's tempted to tell me that he's bored. While I wouldn't recommend reading straight through, I can certainly see myself flipping through its pages when I need to try something new or find a bit of inspiration.